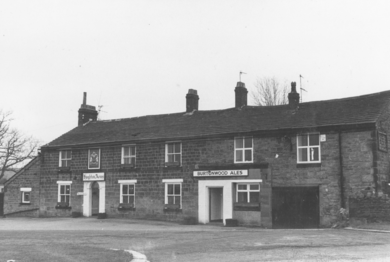 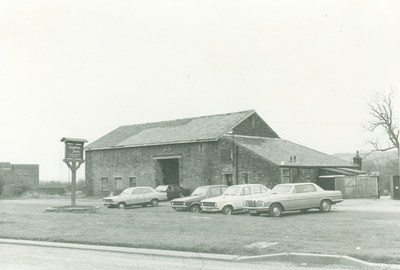 The Hoghton Arms dates back to the 1840's and was located on Billy Street although today the postal address is Blackburn Rd, Withnell, Chorley. 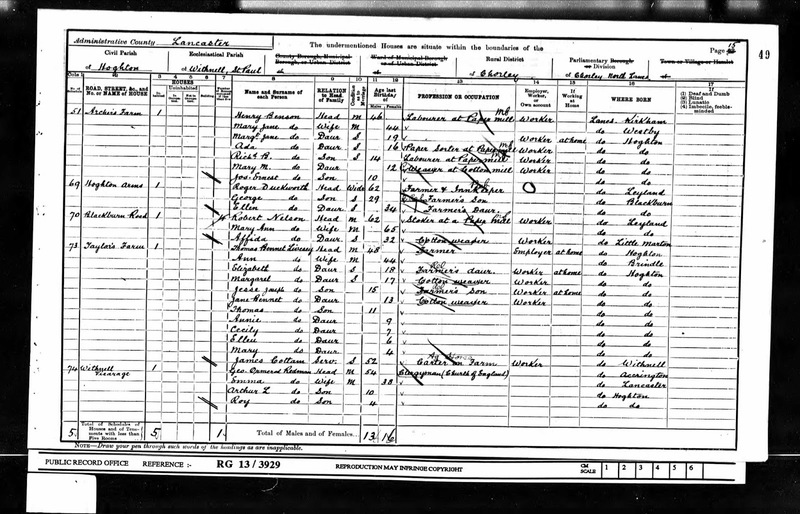 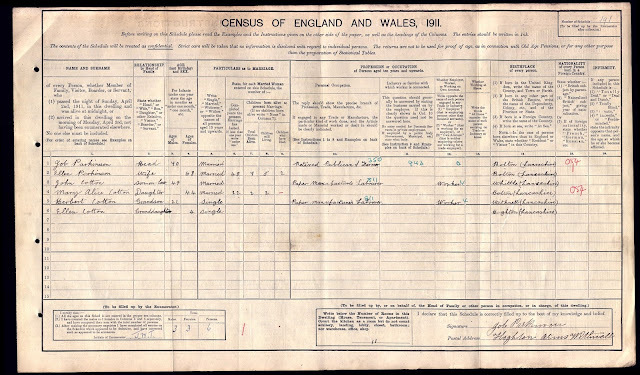 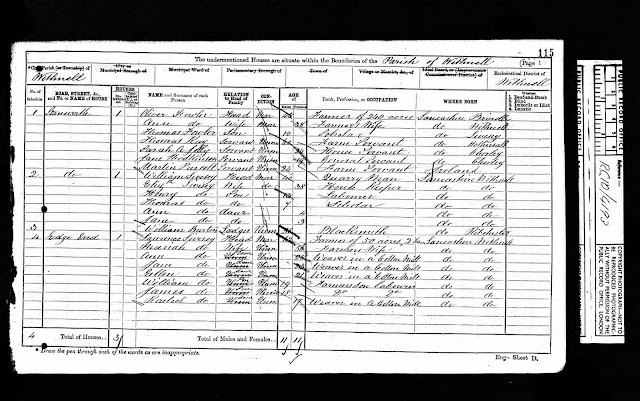 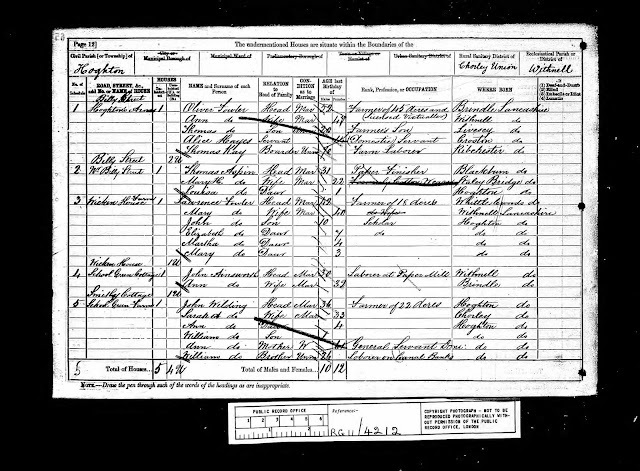 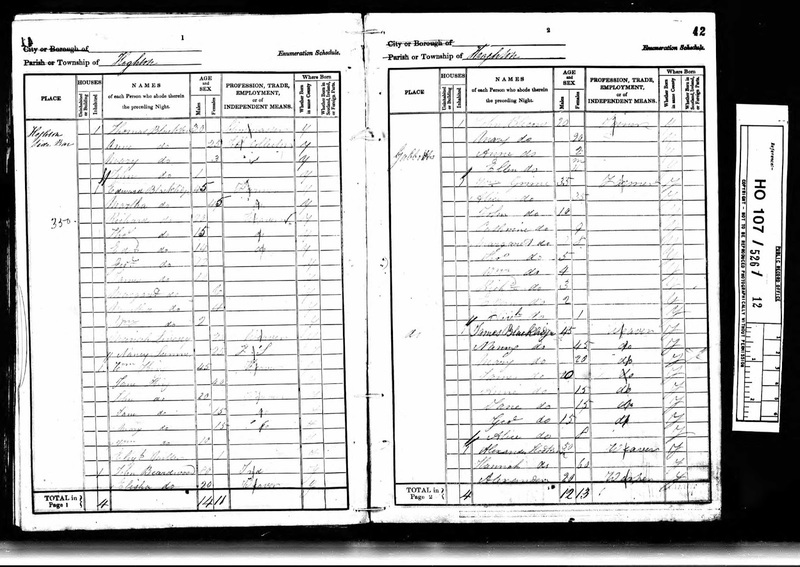 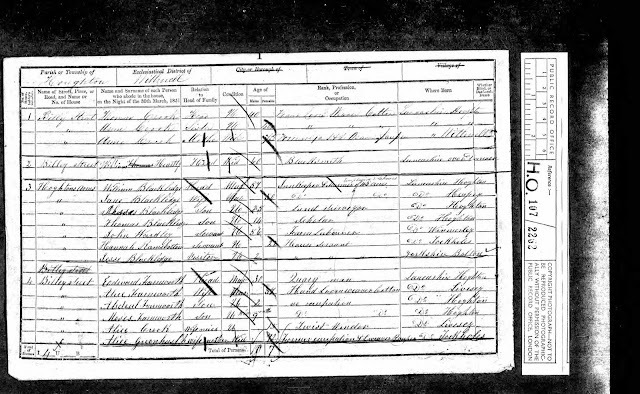 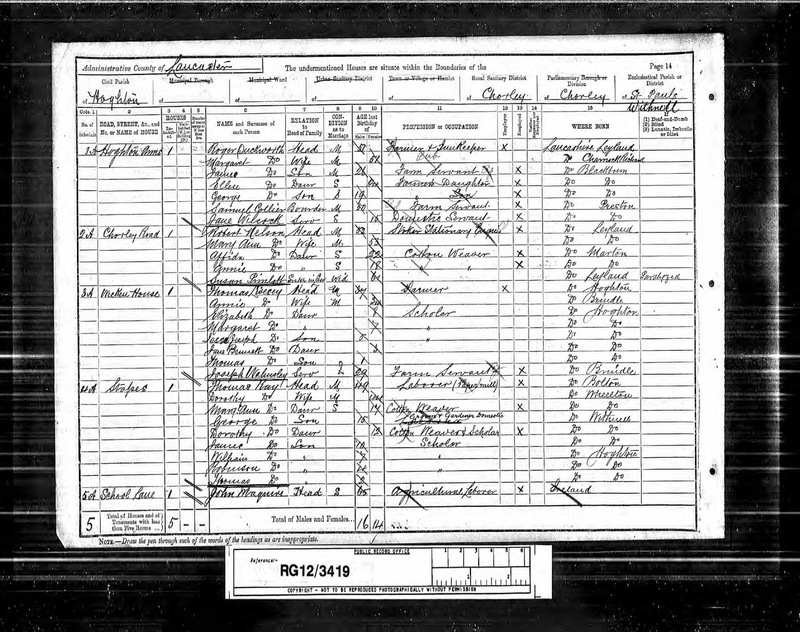 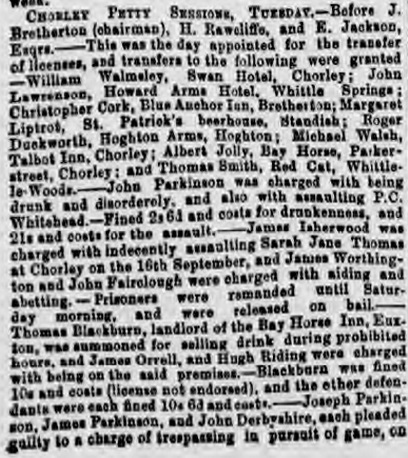 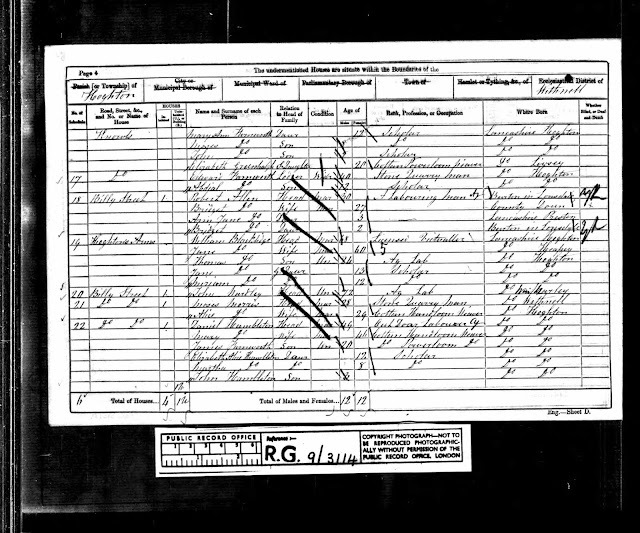 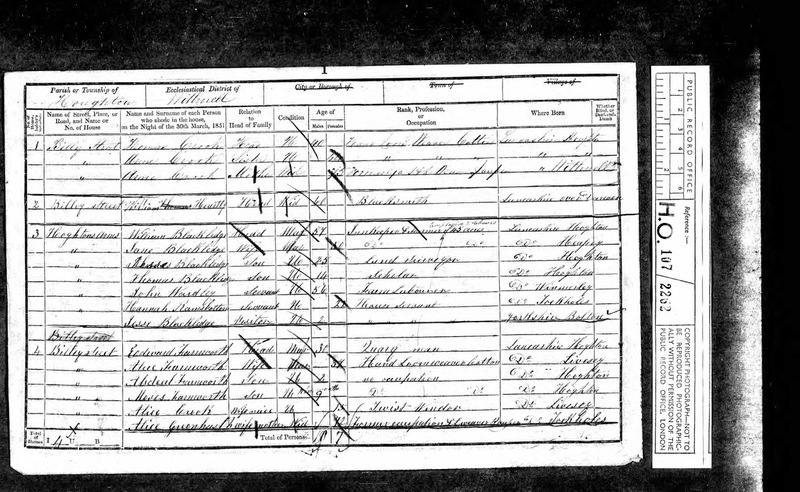 First reference to the pub is on the 1841 Census when an Edward Blackledge, a "Schoolmaster" was shown living at the Hoghton Side Bar. 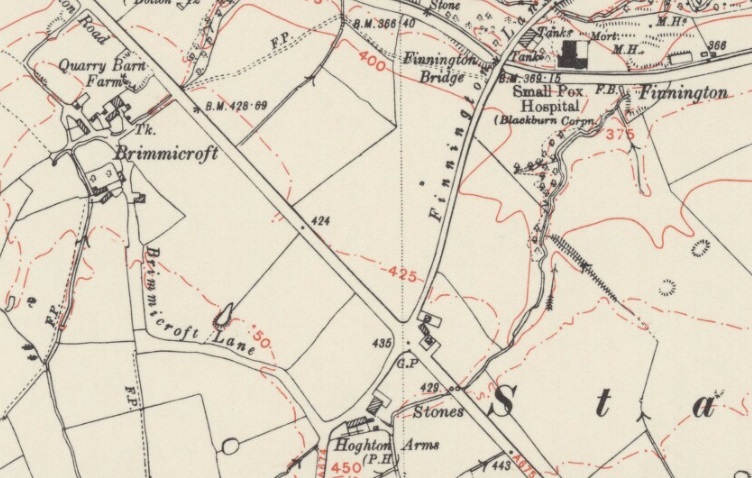 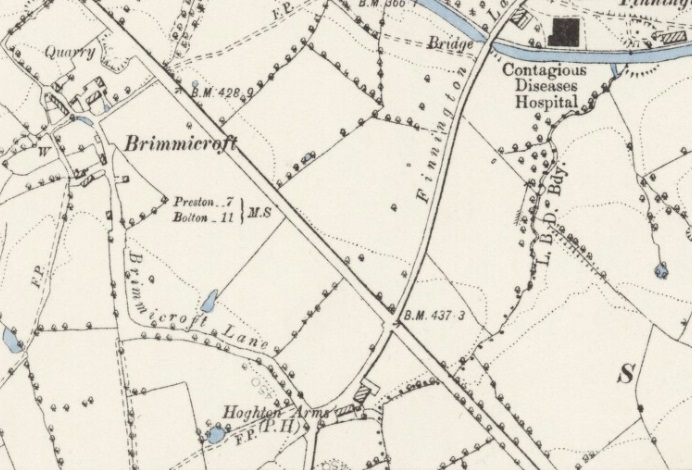 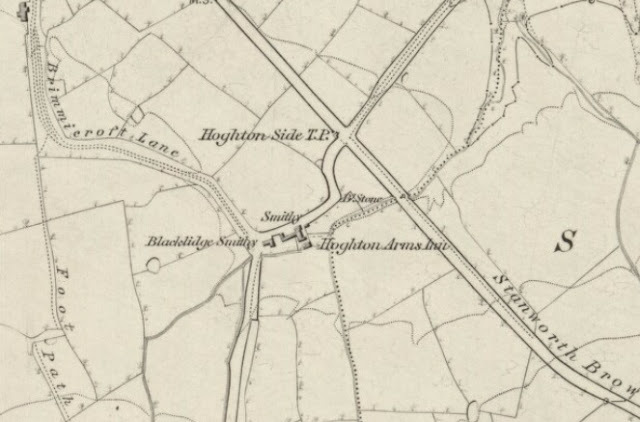 Whether or not he sold beer as a side line is not known but by the time of the 1849 map below the Hoghton Arms was very much an established concern in the Blackledge family along with farming. 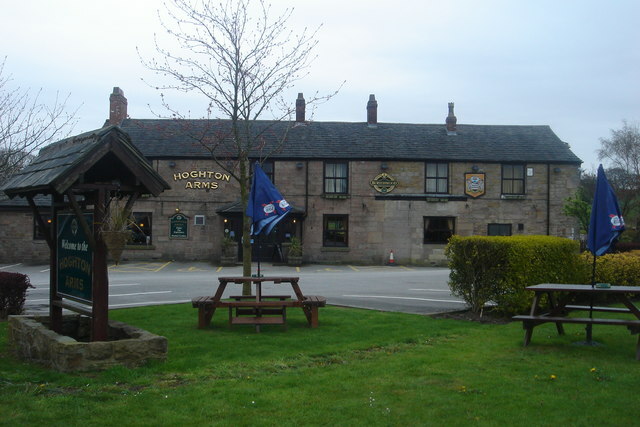 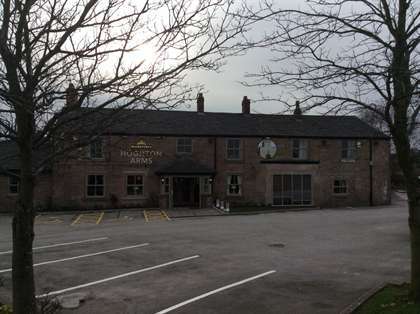 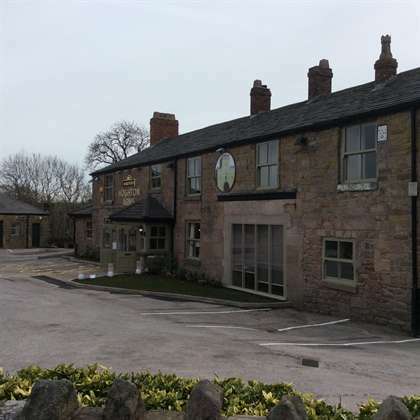 Listed landlords at the Hoghton Arms Inn included William Blackledge (1851-61), Oliver Fowler (1871-81), Roger Duckworth (1885-1901) and Job Parkinson (1911).